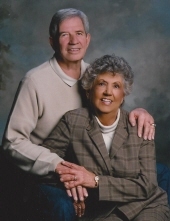 Jimmy Clyde Nickles, age 82, of Dema, Kentucky, passed away Saturday, March 23, 2019 at his home. He was born March 25, 1936 to Bee and Dina Jones Nickles. Funeral services for Jimmy Clyde Nickles will be held at Hindman Funeral Services Chapel at Hindman, KY at 12 PM Tuesday, March 26, 2019 with Randy Hatfield officiating. Burial will follow in the Whitt Martin Cemetery at Dema, KY. Visitation will be held at the Hindman Funeral Services Chapel after 5 PM Monday with additional services at 7 PM with Randall Short officiating. "Email Address" would like to share the life celebration of Jimmy Clyde Nickles. Click on the "link" to go to share a favorite memory or leave a condolence message for the family.